We recently had new countertops installed at our house! Yes - that is the new countertop, and yes it is laminate! Why would we install a laminate countertop? I'll tell you! 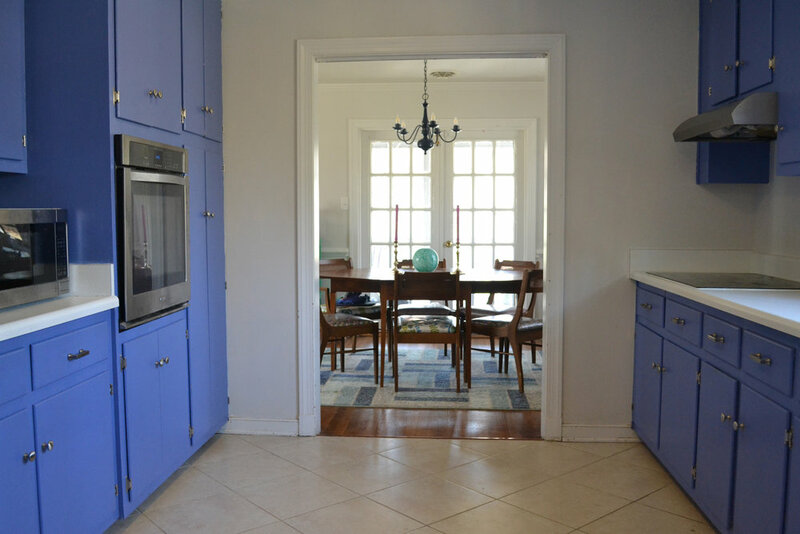 Here is a picture of the kitchen from before we moved into the house. Why did we paint the countertops? 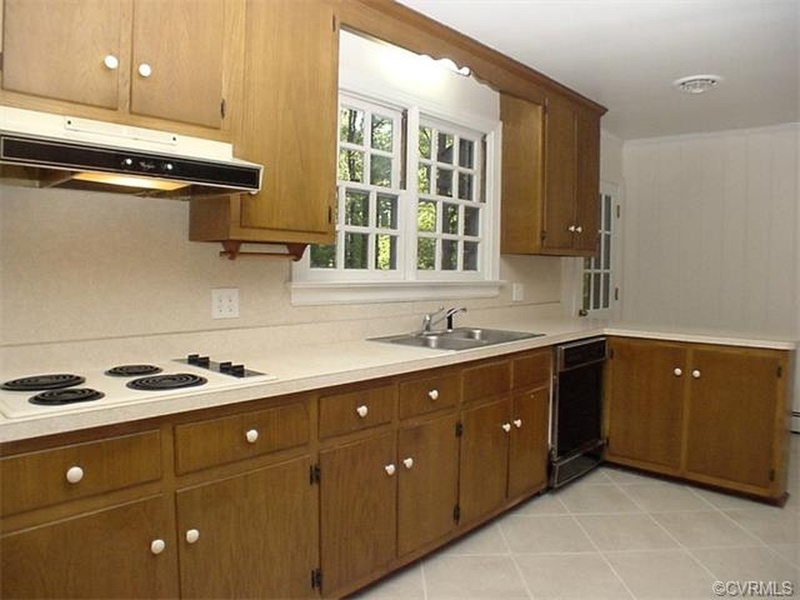 The original countertops were beige with a subtle leaf pattern to it. The only close-up picture I can find of them is from when we were tearing them out. The laminate itself was in decent shape, but the pattern? Well, let's just say it wasn't our style! We had other expenses during our move-in (you know, like adding a water heater, replacing plumbing, and gutting two bathrooms! ), so at the time, we needed a quick and inexpensive fix. After exploring a few other options, we decided to go ahead and paint them. The paint was fine for a while, but over the past two years of wear and tear, it had started to stain and chip, and they were looking pretty shabby. I actually don't have a picture of this phase, but trust me, they were bad! With our long-term renovation plan in mind, we did not want to invest in any type of stone countertop, so we decided to stick with laminate. 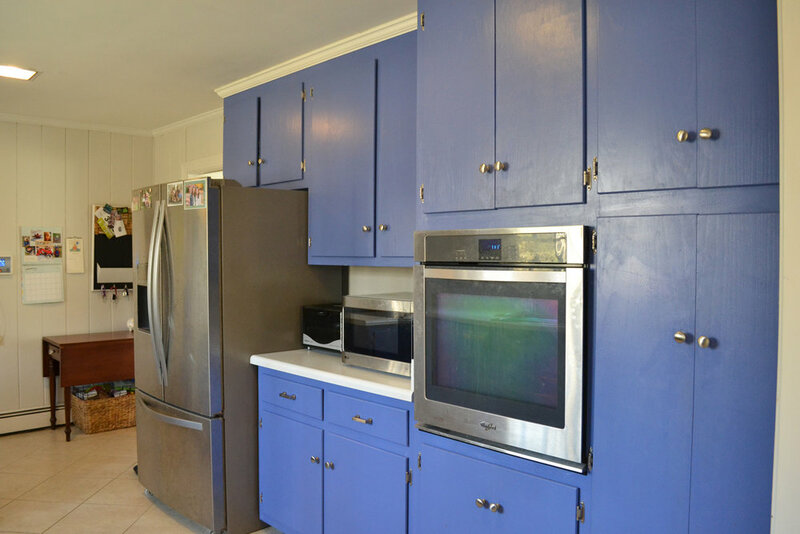 We wanted to keep the blue cabinets, so I needed to find something that would work with both the cabinet color and the beige tile floor. The tile, while mostly neutral, actually does have the slightest hint of pink to it. Taking all of that into consideration, we decided to stick with a true white background. Eliminating anything that looked like stone or marble, we were only left with a few options. We certainly could have gone with a solid white, but...anyone who knows me, knows that if there is a more unique option, that's what I'll go for! 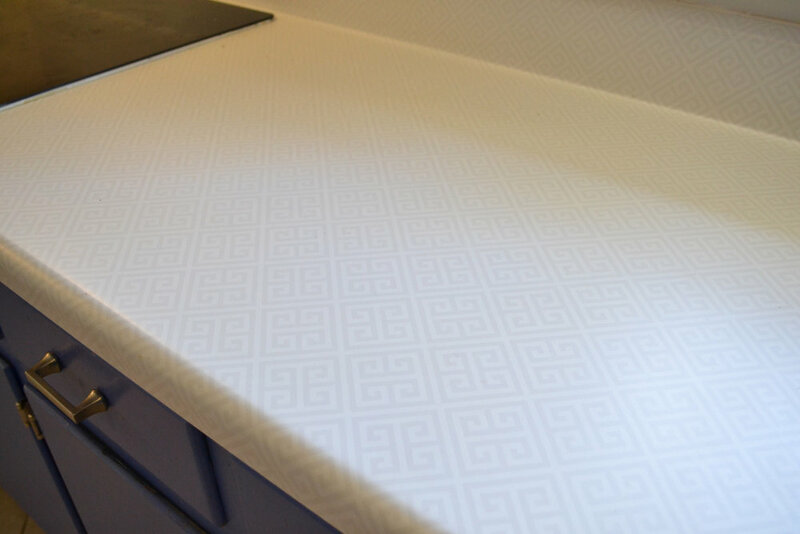 The Greek key pattern is very subtle, but adds a touch of fun and funkiness to the space. 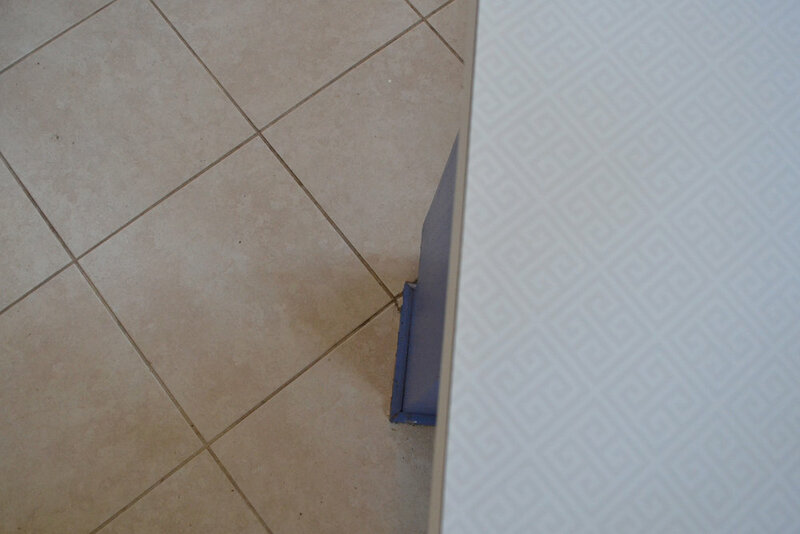 They are durable and easy to keep clean, and there is no maintenance or resealing for laminate countertops. 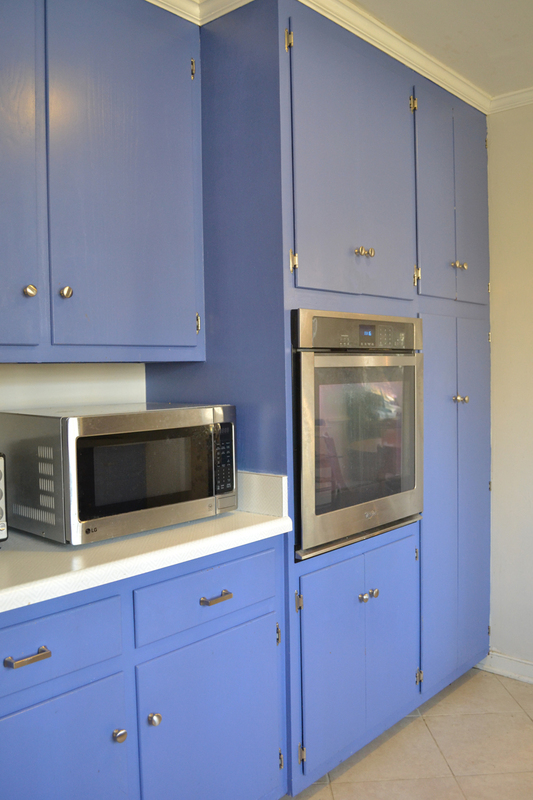 With this upgrade, I have started to think about other additions and finishing touches we could do to the kitchen until we're ready for the full renovation - some sort of backsplash? a window treatment? We'll see! When we moved, we brought the lantern from our old kitchen with us, so whatever I do, I'll have the Greek key of the countertops and the quaterfoil in the lantern to be the guide for the next step! There are so many options for countertops right now (quartz, granite, laminate butcher block, concrete, and more!). They all have pros and cons ranging from price to durability to ease of maintenance. 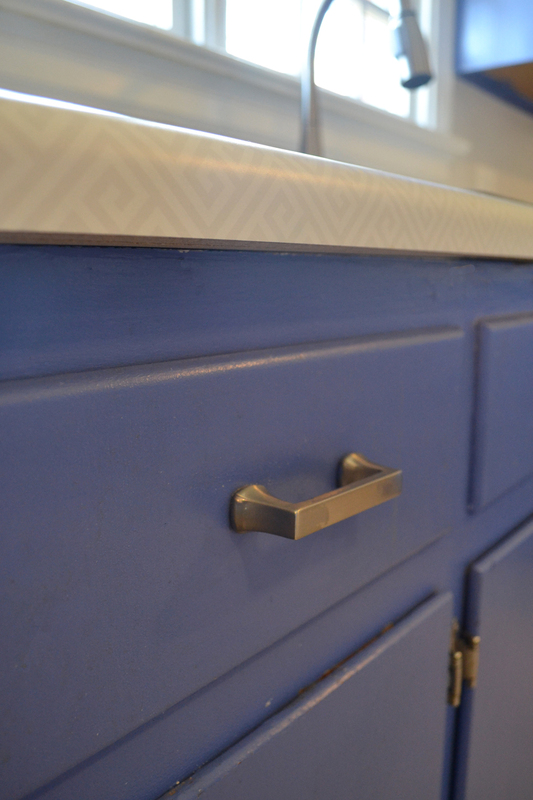 If you are considering replacing your countertop (kitchen, bathroom, or somewhere else) and have questions, feel free to reach out and I'll be happy to answer any questions you may have.